She was putting them to bed. This is Winnie the Pooh.. And she said stuff like “eat your dinner”… This is Winnie the Pooh and this is ‘Pet’. 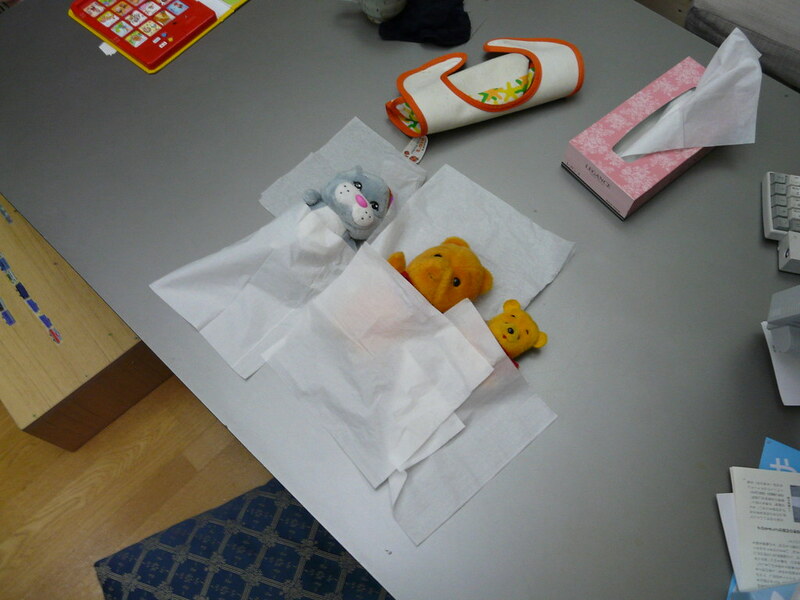 And this is the bed…see, here’s the tissue paper. Concepts: Sleep, Take Care Of, Mimic, Line Up.